Detective D.D. Warren arrives to a devastating scene. Uniformed officers, police cruisers, and yellow tape cordon off the home of a family of five. Four members have been murdered and the fifth — a sixteen-year-old girl — is missing. Unsure whether the teen narrowly escaped with her life or played a role in the tragedy, D.D. hunts for the girl while trying to piece together the family’s final moments. However, the detective isn’t the only one searching for the truth, so is survivor and vigilante Flora Dane. Both women want justice, but each has a different idea of what it looks like. 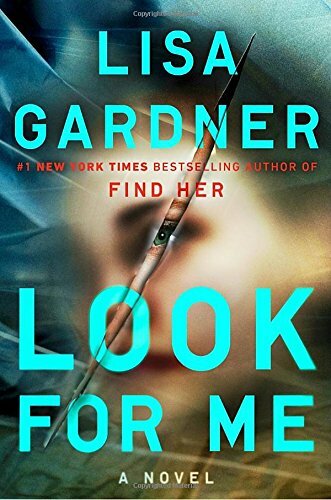 Look for Me delivers an adrenaline-charged page turner. Lisa Gardner pens a heart-wrenching tale of mistakes, second chances, and survival. Intricate characters pulled me in and had me vacillating between rooting for their escapes or captures. I did strongly suspect the killer’s identity early on, but the author had me second guessing myself a couple times. Gardner masterfully toys with the reader’s emotions as D.D. and Flora uncover the events that led to the family’s murder. It felt like watching a car zoom straight for a cliff and being unable to stop it. The reader knows from the start that the family dies but desperately wants to find a way to prevent it. I highly recommend that Look for Me stay within its intended audience as it contains strong language and mature content. Though it is number nine in the D.D. Warren series, it easily stands alone. To understand Flora Dane, you might want to read Find Her first, but it is not imperative to follow this story. Gardner and D.D.’s fans won’t want to miss this latest installment.